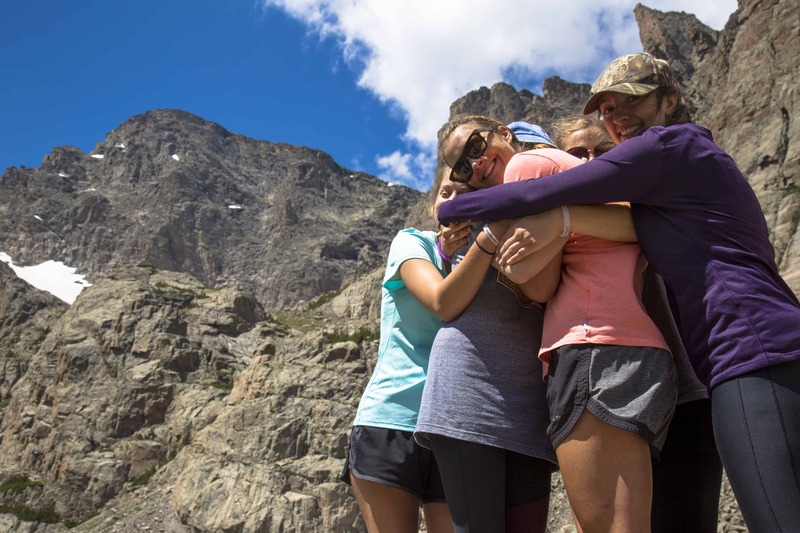 Join us for eleven days in beautiful Rocky Mountain National Park! Would you like to use Bible stories to communicate the story of Jesus more effectively to others? 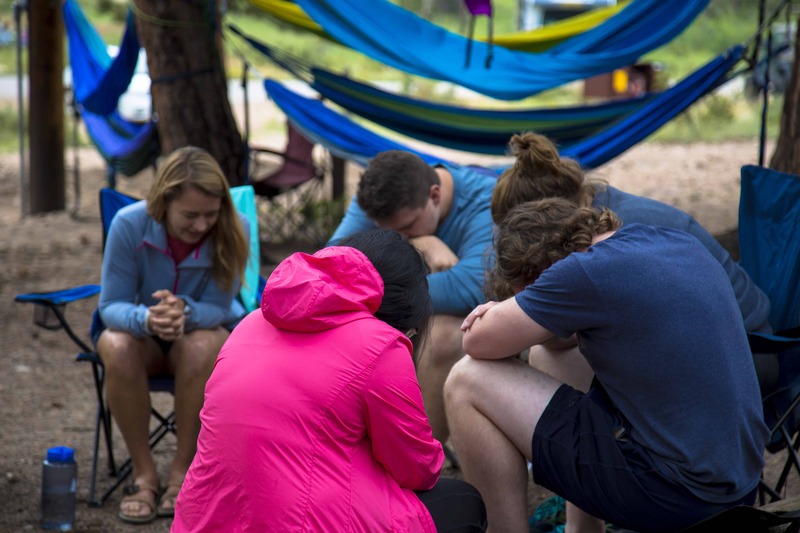 Spend time camping and hiking with 24 college students in Rocky Mountain National Park while you learn how to connect with people the way Jesus did – through stories! You will spend time each day engaging with God as you explore His Word through a set of oral Bible stories from the life of Christ. Then hit the trails, sharing the stories you learned with fellow hikers. In the evenings, you will enjoy campfires and s’mores under the stars! You will learn skills in leading small groups, and how to easily start a spiritual conversation using a story. You will also hear how simple stories are reaching people around the world who have little to no Scripture. We will be tent camping in Rocky Mountain National Park. You don’t have to be an athlete to participate, but you should be able to hike for a couple of hours in the mountains. Hiking options include everything from an easy stroll around Bear Lake, to a strenuous hike to the top of Alpine Ridge where elk herds hang out (just over 12,000 feet), to a long hike to crystal clear, boulder-strewn Sky Pond, just below the tree line. We’ll provide the tents and the meals, but you’ll need to bring your own sleeping bag, pillow, and camping pad. Round trip shuttle service between Denver International Airport and the park is included, but the cost of transportation to Denver is additional. Questions? Find answers in the FAQs section. Don’t find an answer to your question? Ask us! What does the cost for the Rocky Mountain Summer Mission (RMSM) include? 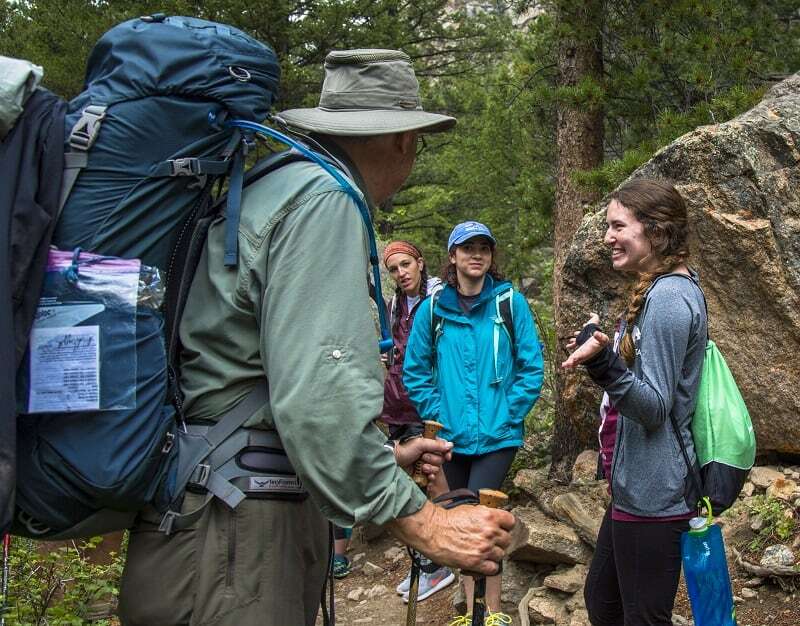 The cost includes campsite rental, tents, all meals except one lunch and while traveling, trail snacks, shuttle from the Denver airport to Rocky Mountain National Park (RMNP) and back, a meal in Estes Park, and other activities. When is the payment deadline? You need to pay a $100 non-refundable deposit within 2 weeks of your acceptance date. The $895 balance is due July 1. How do I raise the funds for this trip? As with all Cru Summer Missions, the StoryRunners staff will coach you on raising support for your expenses. You can explore the MPD website https://mpd.uscm.org/. If you have used a Relay account or Facebook to log in before, you can use that same account. What about my other expenses? Where and when should I arrive/leave? Your flight itinerary must be approved by an RMSM staff before you purchase it. Arrive early afternoon on July 8. Depart after 2 pm on July 18th. We’ll have two nights of orientation before heading to the campsite for 7 nights in tents at Glacier Basin Campground in Rocky Mountain National Park. We’ll finish with a 1-night debrief back at the YMCA of the Rockies. What are our housing accommodations? During your stay, you will share accommodations with 3-6 people of the same gender. We’ll sleep in tents in the RMNP and in dormitory-style housing at the YMCA. While we are in RMNP, you will have access to public toilets and sinks. There are no showers. Summer days in July often reach the 70’s or 80’s and then drop to the upper 40’s at night. At high elevations, the afternoon may be windy and there is snow all year. Be aware that high elevation, as well as changes in altitude while hiking, will affect you physically. We are camping at 8,500 feet but you might hike as high as 12,000 feet. You’ll get tired more easily, and you could experience altitude sickness. You will need to drink a lot of water, so if you don’t like to drink plain water, bring packets of powdered drink mix to mix with your water. Be prepared to pack layers of clothing and warm sleeping clothing, as well as good hiking shoes. Don’t forget your sleeping bag, water bottle, pillow, and flashlight! A detailed packing list will be sent to you upon acceptance. How should I prepare physically for this trip? Expect many miles of hiking at high elevation (8,500 – 12,000 feet). You need to be in good health and able to handle some strenuous physical activity because you’ll be hiking for several hours each day. We suggest that you prepare for the trip by exercising more (cardio, weights, interval training, etc.) between now and July. If you have questions or concerns about your physical health, consult with your doctor. Certain physical conditions may require a doctor’s approval before acceptance.